Home > Law > What Is a Medical Malpractice Lawyer? According to Johns Hopkins patient safety experts, medical errors lead to over 250,000 deaths per year in the US. Because of this staggering number, there is a demand for lawyers who specialize in such cases, and this is exactly what a medical malpractice attorney does. In order to understand the specifics of what they do, it’s helpful to know a little more about the field. 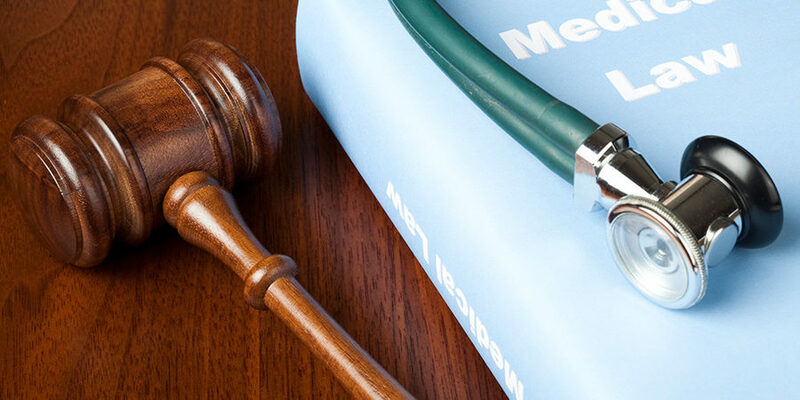 Medical malpractice is a term that came from the US legal system after various court rulings against physicians who were found to be negligent in their care of patients. These cases can come from birth trauma, surgical or anesthesia errors, delays in treatment, or unauthorized treatments. An example of medical malpractice would be a physician who gives a patient several facts about prostate cancer, along with treatment options and protocols, but then delays care long enough to put the patient at risk of further complications or death. To be deemed medical malpractice, something must contain four specific elements: professional duty owed to the patient, breach of that duty, injury caused by that breach, and damages resulting from the breach. The idea is to hold physicians accountable to the degree of care and morals that dates back to ancient Roman law. It ensures that they act out of good intention and responsible care, and if they do not, then this is where a medical malpractice lawyer comes in. Medical malpractice lawyers are lawyers who specializes in personal injury. They often have specific board certification from an organization such as the American Board of Professional Liability Attorneys. Their job is to first gather the necessary data to determine whether or not a client has a viable case, and then to work with medical experts to build a case, retaining expert witnesses for testimony to support the case. These attorneys are also responsible for accessing all the client’s medical records and assembling a team (if necessary) to analyze them. They speak to numerous experts and study numerous prior cases to establish a case and file the necessary paperwork to begin legal proceedings. They also counsel their clients and prepare them for these proceedings. The salary for a medical malpractice attorney can vary greatly since many of them are paid contingencies or sliding fees for the cases they win. It also varies from state to state, as laws regulate the percentage of settlements they’re allowed to take. The Bureau of Labor Statistics (BLS) places a lawyer’s median pay at $119,250 per year, but lawyers specializing in such fields as malpractice probably earn quite a bit more. And the job outlook is good for all lawyers, since the field is expected to see a 10 percent growth through 2020. At first glance, it seems as if there will be more graduating lawyers than available jobs for them. However, this could account for the fact that so many attorneys open their own practices after graduation, and firms seldom post job openings for partners or associates. And with the high number of malpractice suits, the profession will continue to be in high demand. Whether you are interested in hiring a medical malpractice attorney or eventually becoming one, it’s good to know exactly what their job entails. And if an unfortunate situation arises where you happen to need their services, it’s important to understand what to expect.